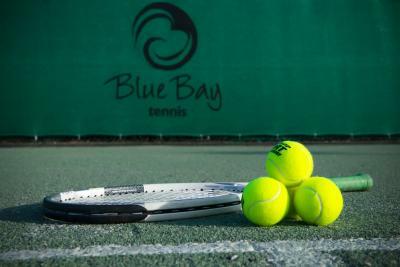 Lock in a great price for Blue Bay Golf & Beach Resort – rated 8.1 by recent guests! Blue bay is a big resort.If you book a bungalow that shows it on golf course make sure as we ended up in garden area nice but next to pool little noisy at times.beaches are not like Aruba, small strips throughout country, people very friendly, you need to rent a car to see things, driving on island very easy decent roads, lots of grocery stores Centrum supermarket less than 5 minutes away. Golf course here is great for Caribbean only complaint is no good sand traps. To taste the local food you will have to dine in some locals restaurants where you can try iguana stew, fish is good here too. 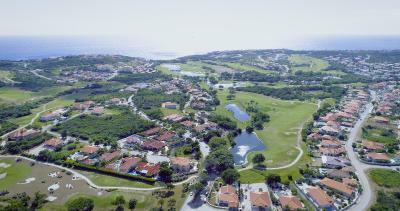 The apartment was extremely spacious and spotless, surrounded by a beautiful golf course. The beach is 10-15 min walking but we had a car ( plenty of parking spaces near the beach) and it was a 3 min drive. The beach is beautiful and the entrance and the chair is free but we explored other beaches, too ( average cost for entrance and chair - 15$/ 2 people). The supermarket is 5 min driving. Thank you Mr.Singer for making our stay memorable..excellent service..
Good service at the reception, and the place was very nice, the pool was close and easy to access. It was only 5 minutes from the supermarket, 10 minutes from the airport and 10-15 minutes from Otrobanda/Punda. The beach was within walking distance and I also had a pool a few floors down from my apartment. The staff was also very friendly and even arranged for my rental car. 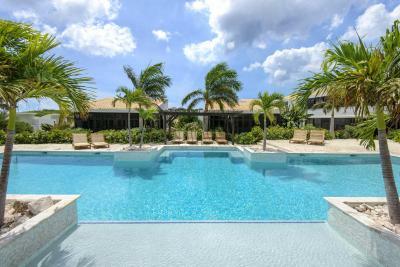 Blue Bay Golf & Beach Resort This rating is a reflection of how the property compares to the industry standard when it comes to price, facilities and services available. It's based on a self-evaluation by the property. Use this rating to help choose your stay! 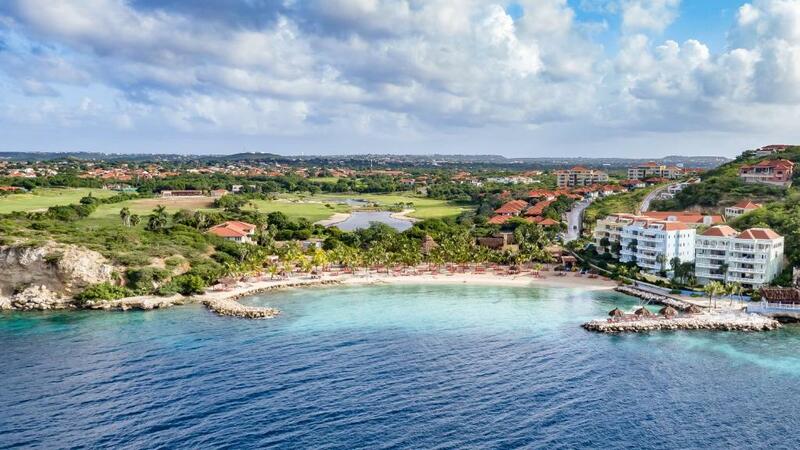 One of our top picks in Willemstad.The Blue Bay Curacao Golf & Beach Resort is located on what used to be a Plantation which is now a beautiful 18-hole Golf Course and its own private beach. 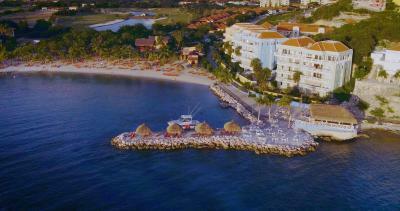 The Resort offers 2 different types of accommodations spread out through the Resort and divided in to 2 sections. Each section has its own fresh water pool area with beach chairs. 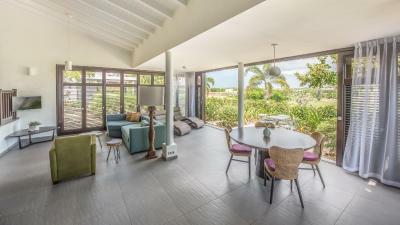 Even though the different accommodations vary from distance to the beach, style or interior, they all feature fully equipped kitchens,1-3 bedrooms with air-conditioning, a Livingroom, cable TV and a private porch with -beautiful views over the Resort. On Blue Bay Beach, you can find 3 restaurants and a beach bar for your perfect breakfast that delicious bite or a Caribbean cocktail at sunset. 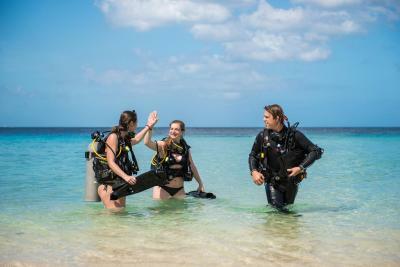 The crystal clear water invites you for a swim or offshore dove at our onsite Padi 5 dove school. Front desk and the Golf Pro shop are both located at the newly renovated Plantation House where you can book your tee time, receive your room key, ordering your drink while enjoying a wonderful view. 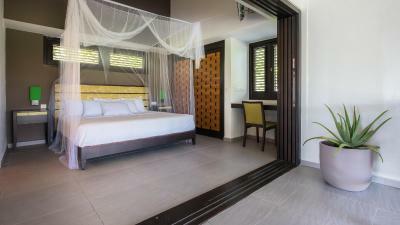 When would you like to stay at Blue Bay Golf & Beach Resort? This apartment has a fully equipped kitchen and ocean views. Rate is based on 2 guests. Maximum occupancy is 4 guests. Please see Hotel Policies for extra guest charges. 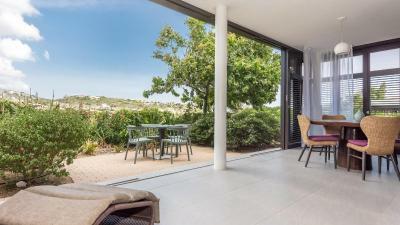 This apartment has a fully equipped kitchen and views of the ocean. Rate is based on 2 guests. Maximum occupancy is 6 guests. Please see Hotel Policies for extra guest charges. 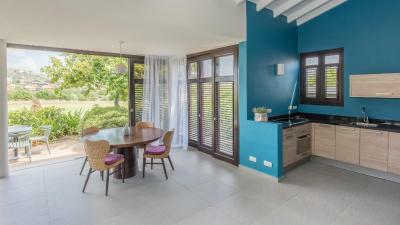 Luxury villa located in the garden of the Blue Bay Hotel with lots of privacy, has a fully equipped kitchen with dishwasher. Rate is based on 2 guests. Maximum occupancy is 4 guests. Please see Hotel Policies for extra guest charges. Due to private location, renting a car is advised. 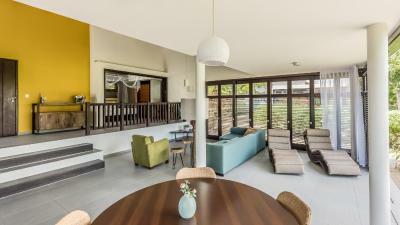 This bungalow features a tile/marble floor, seating area and toaster. Everything at Blue Bay is about your convenience. We want you to be able to enjoy your home to the fullest, with the least possible hassle. This is why we have established Blue Bay Services, with all the important maintenance services under one roof. House Rules Blue Bay Golf & Beach Resort takes special requests – add in the next step! Blue Bay Golf &amp; Beach Resort accepts these cards and reserves the right to temporarily hold an amount prior to arrival. Blue Bay Golf & Beach Resort accepts these cards and reserves the right to temporarily hold an amount prior to arrival. Please note that front desk is only available from 8:00 to 20:00 daily. The air conditioning wasn’t cold at all in the second bedroom, staff came and fixed it quickly enough with coolant, but it stopped blowing cool air on the same day it was fixed. We gave up on that, but it seems to be a prevailing problem. Lighting was poor in the rooms, which was a problem at night if you didn’t want to open the shutters and get bitten by mosquitoes! Also, it’s a huge resort, hard to get around if you didn’t rent a car, would be nice if they added more information on the location of their various rooms/villas on the booking website. 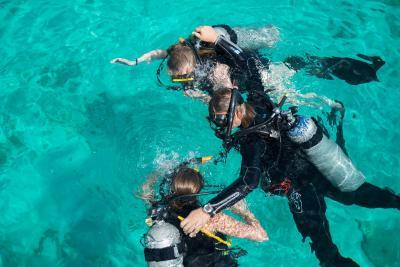 Great beach for snorkeling with kids and choice of restaurants. The apartment itself was comfortable, well equipped and spacious. Staff were informative and prompt. Need a car to go around the resort. Beach was crowded and not that great. When checked in the person who showed our room didnt even help us with our luggages. I have 2yra old child. Im expecting some help.one off the shutters are broken. Any one can come take a look inside. In the shower, an aluminum bar from th sliding fell on my husband's head and hurt him. He got a bump and a wound. There are no telephones any where in the room to make a call to the front desk. A staff came and take a look. He said he will make a report. He never came back. We are here ro celebrate our wedding anniversary. This is not what we expecting for service. No bathroom amenities like soap into the bathrooms. Room is a little bit dark due to the type of lightning. Room is spacious, nice and well maintained. The only thing is that we had to ask twice for them to come and clean that apartment. A small issue was the changing of the location for breakfast from the Azzuro Restaurant to the Golf Terrace. The terrace is quite windy and your breakfast order gets cold quickly. But a big plus for the waiter at the Terrace who nevertheless made our morning meal very pleasant. The distance to the beach was greater than we expected. I recommend to hire a car while staying here. There was no washing machine and the amount of cutlery and accessories was too low. We had to ask for a lot of things ... not prepared for people who want to cook their own food. But the service and response was overall wonderful.